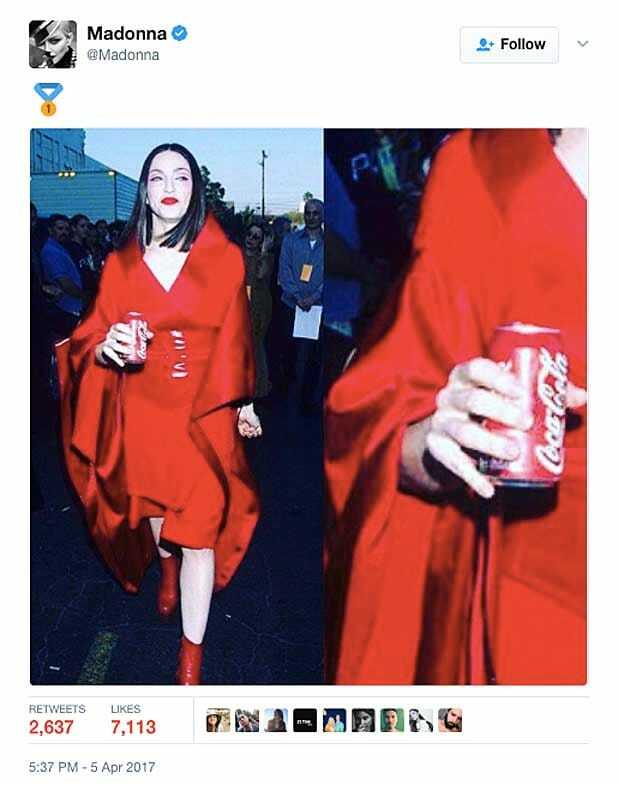 Madonna had fun trolling Pepsi on Wednesday by posting a photo depicting her carrying a can of Coca-Cola from the 1999 Grammy Awards. The social media mockery was clearly aimed as a response to the boycott — and then cancelation — of Kendall Jenner’s protest-themed ad for the soda giant. It also served as a cheeky dig at Pepsi after they pulled support from Material Girl nearly 20 years ago. In the commercial, Jenner, a blonde wig perched atop her head, poses for a photo shoot as sign-carrying marchers take to the street. Encouraged by one of the marchers, Jenner pulls the wig from her head, strides through the crowd, and brings peace to the raucous scene by handing a police officer a can of Pepsi. Needless to say, after it debuted online, the ad came under heavy criticism via social media and by stars such as actor James Woods and “Silicon Valley” star Kumail Nanjiani. 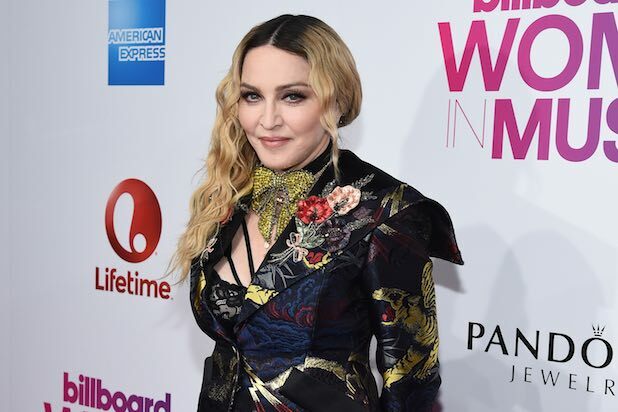 While Madonna has been quick to weigh in on countless political issues over the years, this one also offered her the opportunity for a little personal vengeance. Back in 1989 in the height of her career (and after George Michael partnered with Coke), the Material Girl signed a $5 million deal with Pepsi-Cola to use her and “Like a Prayer” in a television commercial, the company also agreeing to financially sponsor her next world tour. Early hiccups included Madonna refusing to dance for the commercial or to add the word “Pepsi” to her song lyrics. Pepsi initially ran the expensive ad — featuring an adult Madonna and a time-traveling little girl both drinking the soda — during the global telecast of the 31st Grammy Awards in February 1989 and then during an episode of “The Cosby Show” on NBC. As family-friendly as the promo was, the subsequent real video for “Like a Prayer” was equally as shocking, with everything from Madonna as she witnesses a murder, runs into a church, kisses a statue of a saint, makes love with a black man on a church pew and dances in front of burning crosses. The subsequent outcry from religious groups, including the Vatican, along with claims that the video contained blasphemous use of Christian imagery, prompted Pepsi to pull their support of Madonna‘s tour and cancel her ad campaign. But she was allowed to retain her $5 million advance. The global protest even shocked Madonna at the time, which was pretty hard to do. “When I think of controversy, I never really think people are going to be half as shocked as they are at what I do. I really couldn’t believe how out of control the whole Pepsi thing got,” she told Interview Magazine in 1990. While the pop phenomena didn’t caption her Coke-themed Twitter post on Wednesday, her choice of photo said it all. Watch video of Madonna’s Pepsi commercial below.